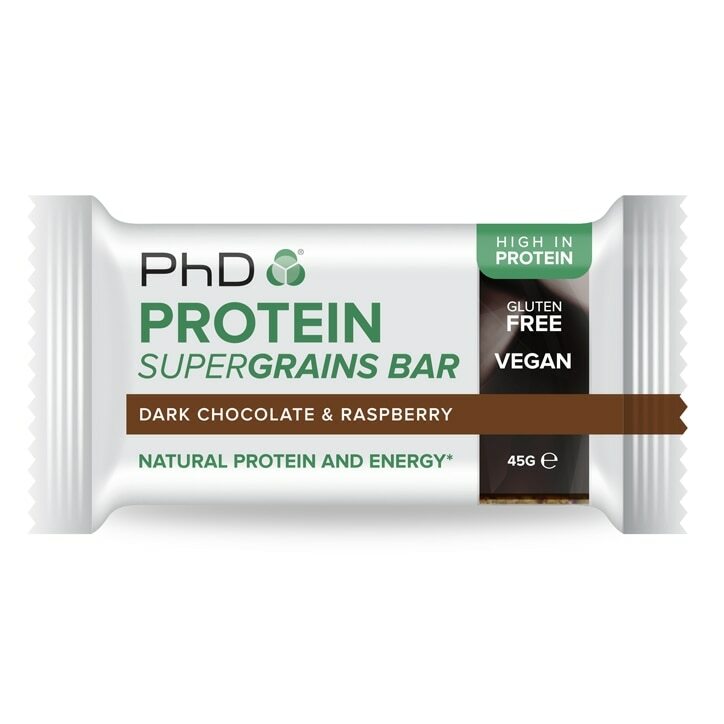 PhD Protein Supergrains bars are delicious high protein bars packed full of super grains, seeds and protein to help fuel your performance goals. Use Protein Supergrains between meals as a protein and energy snack, or after exercise of any kind. This product should not be used as a substitute for a varied diet and healthy lifestyle. Store in a cool dry place. Do not exceed the recommended daily intake. Store out of reach of children. PhD Protein Superfood Bar Dark Chocolate & Raspberry is rated 5.0 out of 5 by 1.